I am MySQL Community Manager for EMEA & APAC. 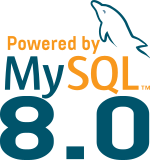 I joined the MySQL Community Team in May 2016. I have been an OpenSource and MySQL consultant for more than 15 years. My favorite topics are High Availability and Performance.